President Donald Trump's controversial video overlaying Rep. Ilhan Omar's remarks with 9/11 footage reportedly resulted in more death threats toward the Muslim congresswoman. 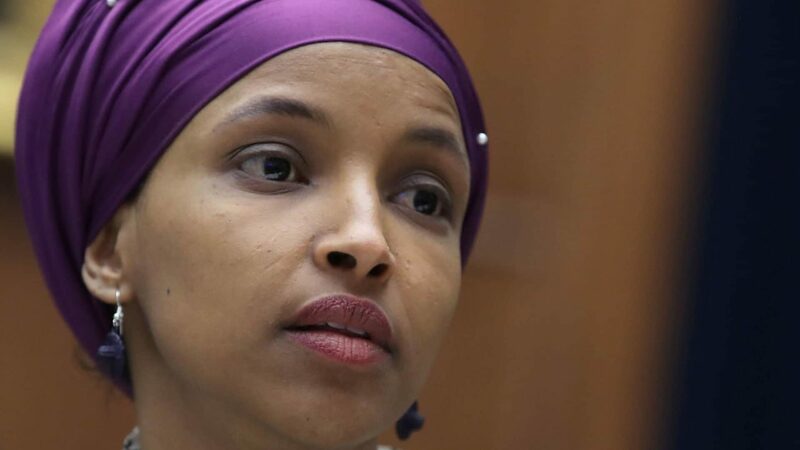 Rep. Ilhan Omar (D-Minn.) released a statement on Sunday night saying that she has received an increase of death threats, ever since President Donald Trump tweeted out a video that combined remarks she made at an event last month with footage from the 9/11 terrorist attack. “Since the President’s tweet Friday evening, I have experienced an increase in direct threats on my life — many directly referencing or replying to the President’s video,” Omar said in the statement, where she also thanked Capitol Police, the FBI, the House Sergeant at Arms and Speaker Nancy Pelosi (D-Calif.) for their attention to the threats. The fallout started on Friday evening when Trump tweeted out an edited video of a speech Omar gave last month to the Council on American Islamic Relations, in which she referenced how some equated all Muslims to the 9/11 highjackers following the attacks. “CAIR was founded after 9/11 because they recognized that some people did something and that all of us were starting to lose access to our civil liberties,” Omar, one of the first two Muslim women elected to Congress, said during her speech. Many critics accused Omar of minimizing the impact of the attacks in her speech, and Trump seized on it, tweeting out clipped footage which was interspersed with images from the actual attacks. “WE WILL NEVER FORGET,” the president tweeted. On Sunday Pelosi released a statement slamming the president for tweeting out the video and noting that she has spoken to the House’s sergeant-at-arms to make sure that Capitol Police conducted a security assessment for Omar and her family. Despite Omar’s statement about the threats she has received, and despite being called out for the tweet itself, Trump, as always, refused to back down, lashing out at Pelosi Monday morning for defending Omar, whom he called “out of control” for her “anti-Semitic, anti-Israel and ungrateful U.S. HATE” statements.